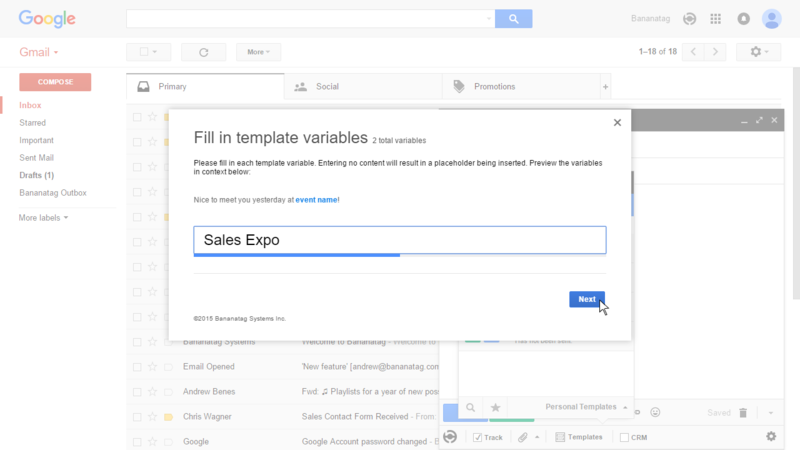 With Email Templates, you can insert personalized emails right from your compose window, get stats for each template you send, and share what's working with the rest of your team. 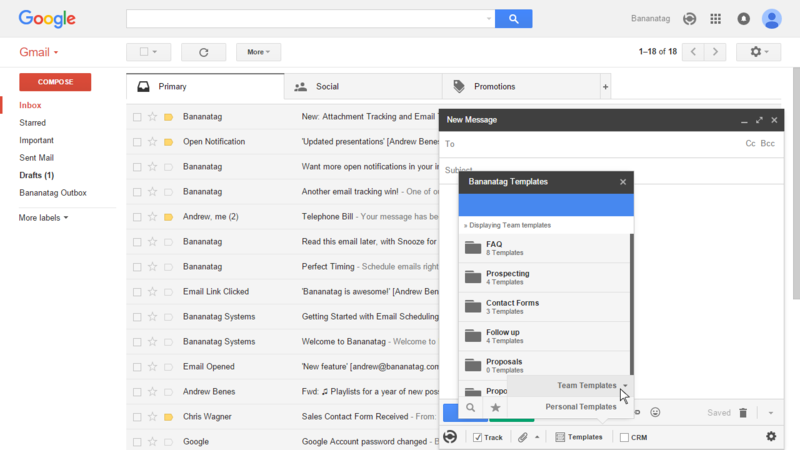 Email Templates are avaiable for all Bananatag users, including Free plans, although some features are limited to the Pro and Teams plans. For more information, see plans and pricing. 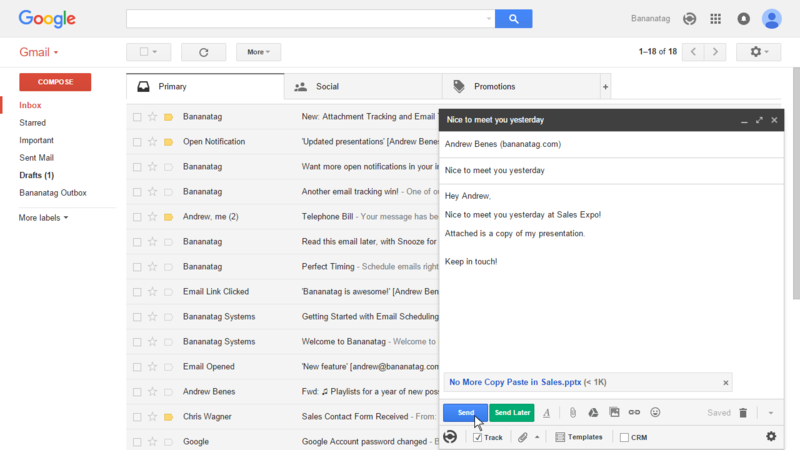 Note: All email templates need to be contained in a folder. 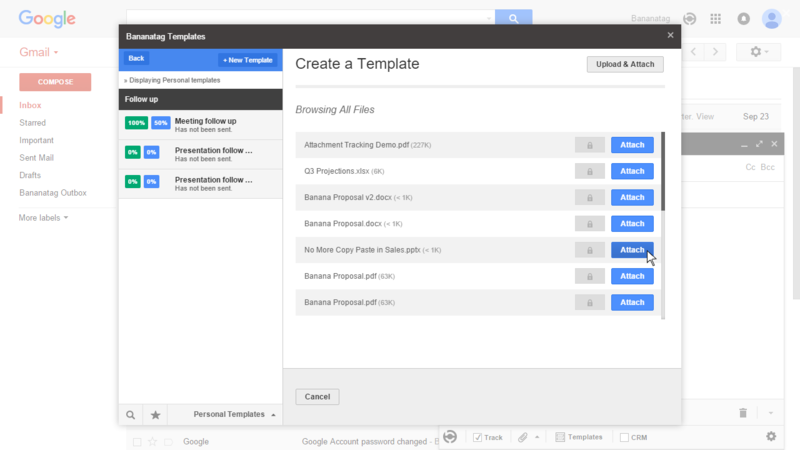 This is done for organization and to enable easy sharing of templates between teams. This example uses some variables (shown in curly brackets) which we'll outline below. You can also insert any attachments to be tracked with our new Attachment Tracking feature using the Attach File button. 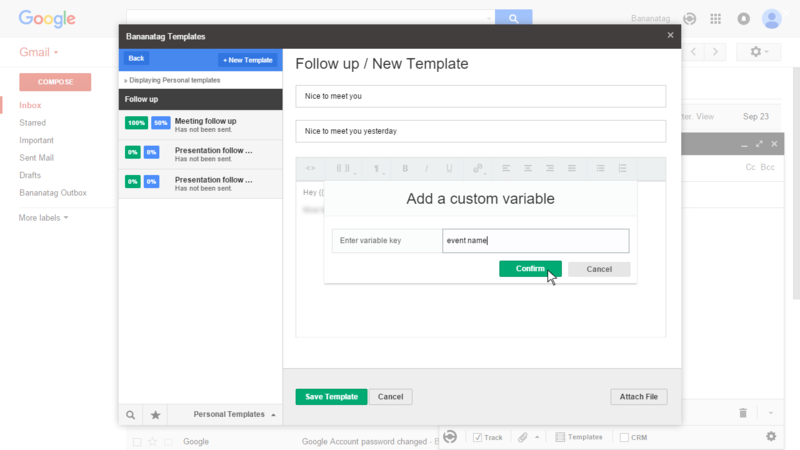 Want to personalize each email template you're sending to your recipient? Easy, with template variables. The formatting options in the New Template window include everything you're used to seeing in Gmail, with the addition of preset and custom variables, represented by the button. 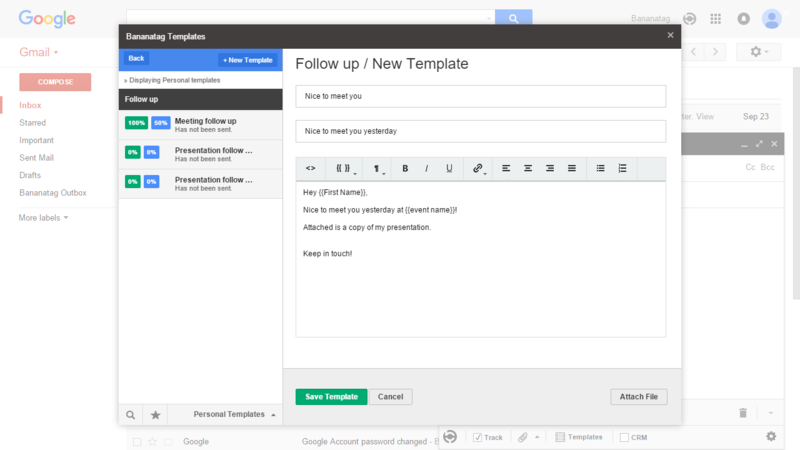 Using the same formatting, you can also include preset and custom variables in the subject line of your email template. The interface will always show you the historical open and click rate for each template, allowing you to keep track of how different versions of the same template are performing. 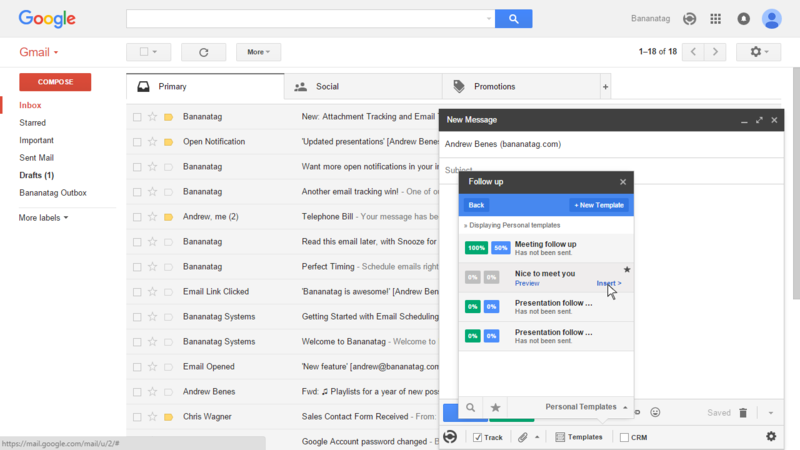 These features allow you to share folders of email templates with your team to help keep messaging consistent and ensure that all users are sending the version of each template that are getting the best results. Individual team members can create and insert template in the same way that is described above, and these folders are assigned permissions in the member's section of Bananatag by a team lead. 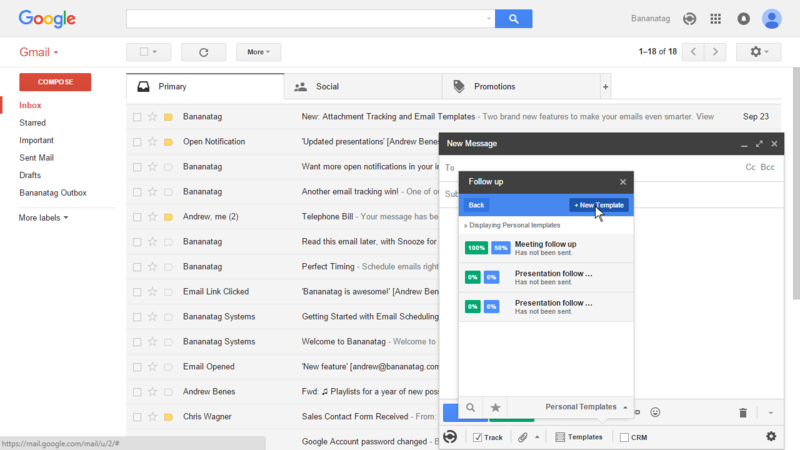 Get a free download of Bananatag for Gmail!